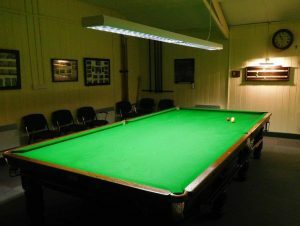 If you would like to play billiards or snooker, there is a full size snooker table in the Reading Room at the Ellastone Parish Hall. Membership is £10 per year for adults, £6 for juniors (under 16) and £20 for Family Membership and you may play any time when the room is free. It costs 50p for 20 minutes of play and cues are available. 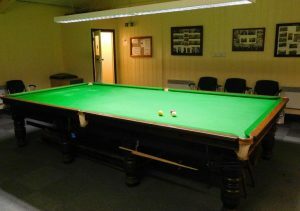 We do have 3 teams in the Ashbourne and Dove Valley Billiards League who play on Tuesdays or Thursdays from Sept to May. Back to Ellastone Leisure home page.